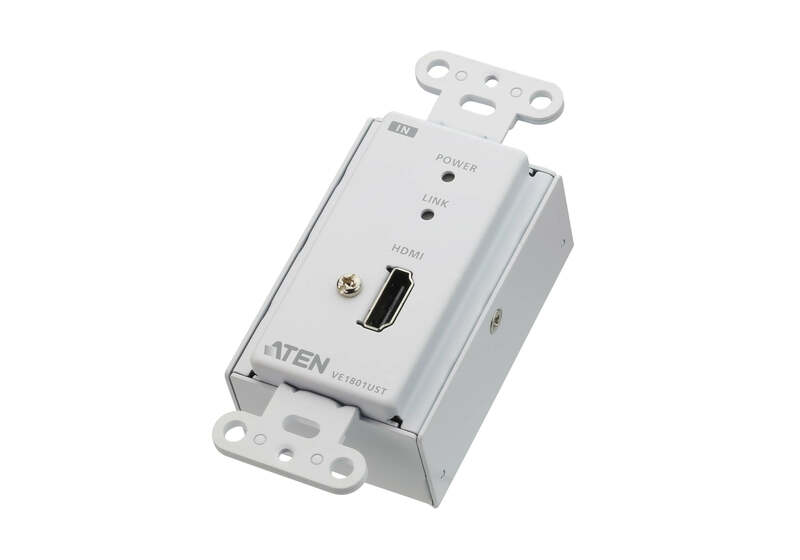 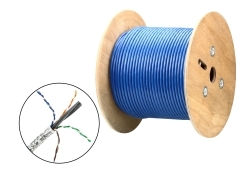 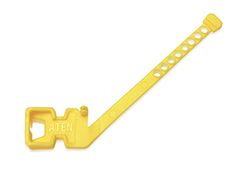 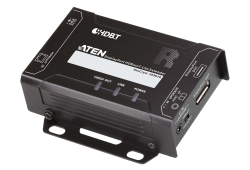 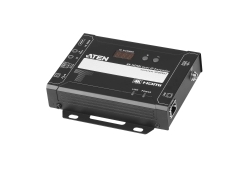 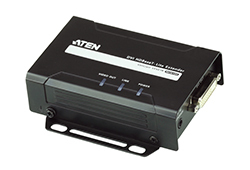 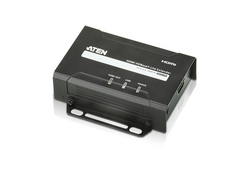 ATEN VE1801UST is a transmitter designed to reliably send 4K signals up to 40 m over a single Cat 5e/6/6a or ATEN 2L-2910 Cat 6 cable. 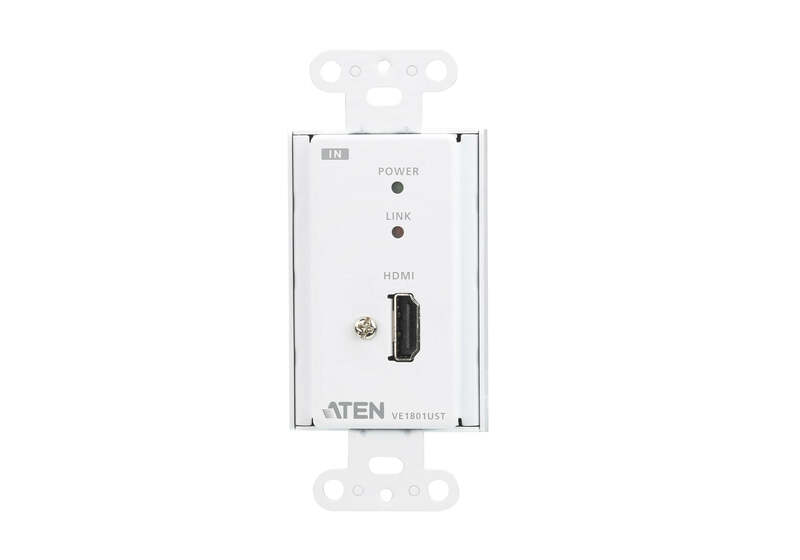 With US Wall Plate design, the VE1801UST can be conveniently mounted in a one-gang junction box. 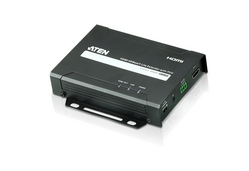 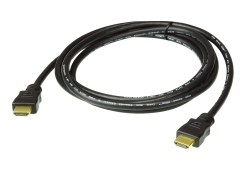 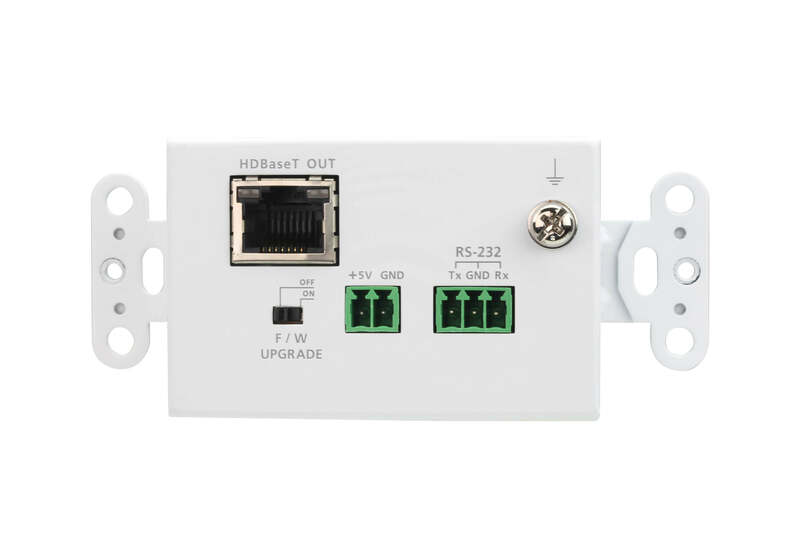 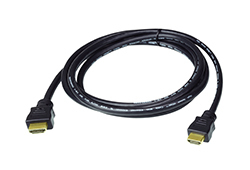 For HDMI signal transmission, it supports 3D, Deep Color, and embedded HD lossless audio formats. 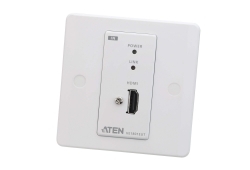 The compact wall plate design does away with bulky cables, allowing a neat and convenient installation. 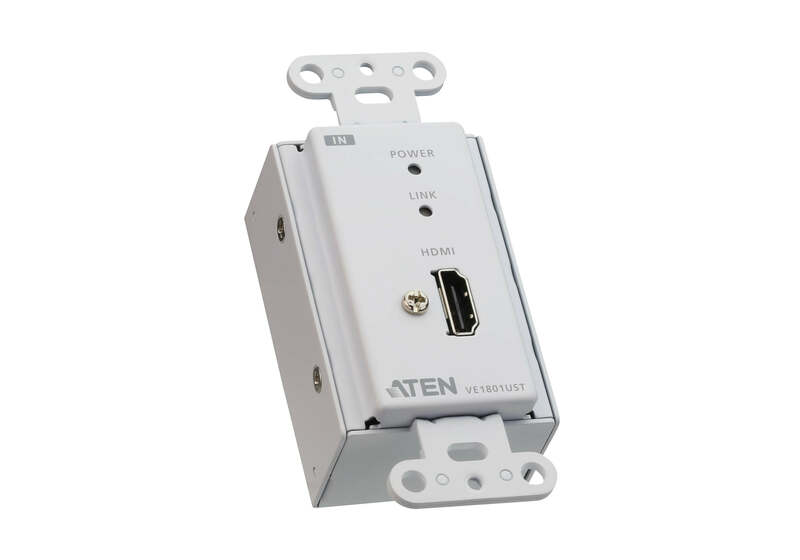 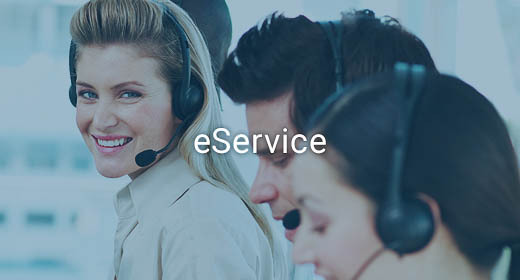 Therefore, VE1801UST is specifically designed for use in meeting rooms, digital educational environment or wherever needed to meet application requirements.